The mysticism of Biblical days seems often dismissed or forgotten. You know, transfigurations, prophecy, angel appearances, holy directives in dreams and of course, direct appearances from saints, the Virgin Mary and others. It simply never made sense to me that these events would occur only in one period of time and then forever stop. 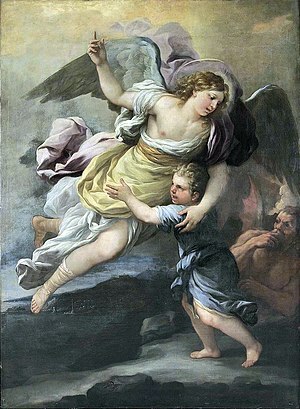 So, when stories of supernatural spiritual phenomena occur, I like exploring them, which lead me to The Boy Who Met Jesus. Author Immaculee Ilibagiza is perhaps best known for her book, Left to Tell, the story of her survival from the Rwandan holocaust. 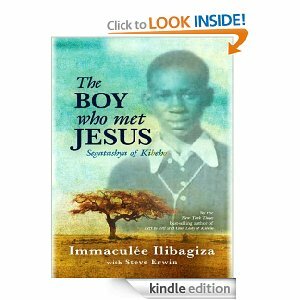 But in The Boy Who Met Jesus – Segatashya of Kibeho, she writes about her lifelong spiritual quest to meet an illiterate peasant boy from a remote region of Rwanda who purportedly met Jesus Christ under a shade tree in 1982. The story combines not only the facts of the phenomena but the equally interesting journey of pursuing a personal an in this case, spiritual, quest. As a young girl in Rwanda, Immaculee heard the story of Segatashya and his visits from both Jesus and Mary, and their various messages to prepare ourselves for the end of days. She longed to go see the boy and hear him talk publicly about his experiences, but her father told her she was too young and would not take her. As time passed, her fascination with Segatashya persisted. Then, years later in 1992, as a college student at the National University of Rwanda, she learned by chance that Segatashya worked on campus at the university chapel and library as a handyman. No longer the shepard boy, Segatashya was a man, humble in every respect, who talked with Immaculee about his experiences, and fulfilled her quest. Sadly, less than two years later Rwanda was in ruins and Segatashya was killed in the violence. Q: Why will the religions fight when they’re all working for you? Jesus’ Answer: It is because in all religions, there are too many who claim to believe in God’s love but do not truly believe. War will come because too many say they love, but they have no love in their hearts for God or man. Her story is both sweet and strong, punctuated by deep faith and a longing to see a man touched by God for herself. The book is available for purchase at www.hayhouse.com, www.immaculee.biz, www.barnesandnoble.com and www.amazon.com. More information on Immaculee Ilibagiza n is available on her website at www.immaculee.com. This is another book review in my partnership with Hay House. I was not financially compensated for this post. I received the book from Hay House for review purposes. The opinions are completely my own based on my experience. I know. I know. I think too much. That’s just the way it is. “Aren’t you over that whole burned leg thing?” was the question and of course I nodded and said, “Well yeah.” I had explored, questioned, delved, dissected and practically fried the whole topic. This I knew. But over it? How can you get over things that are a part of you? What if I didn’t want to get ‘over it’? What if I what might seem a devastating experience actually was something I realized had positively shaped my life? These questions swirled around like noodles in a boiling pan, like so many other thoughts I have. They arrive simply. Or they simply arrive. And then they secure their place in the brain’s parking lot, coming out from time to time when prompted or when another thought crashes into them, upend them or taps them aside the head. It’s a lot to manage. I was laying on my back on the mat. Her comments collided with the dormant thought in my brain. It woke me up with a jolt. “Over, she’s talking about that concept,” my brain spoke to me. It was just past 9:30 a.m. and I wasn’t ready to dissect anything. The class began. Over. Through. Over. Through. It made a lot of sense. I don’t need to get over the experience. I got through it and grew because of it. The thought in my head started its engine and drove out of the parking lot in my brain. There was now room for something else. At least once in every lifetime, everyone should have a photograph of their aura taken. Click on the link at the bottom of this post if you would like to see mine. That’s what I was thinking when my friend Eva, daughter Gigi and I went to the Midwest Lightworker’s Conference (www.lightworkersconference.com) in the Chicago suburbs a week or so back. Among the more interesting displays was the aura imaging booth staffed by Dianne Reddington (dianneaura1@aol.com), an aura image consultant. Amid booths filled with crystals, healing music, books and other what-nots, we gravitated to Dianne and asked her to tell us about auras and how she got into the business. She was a fascinating study herself — a lifelong home-maker, she wanted to work after her husband passed away and found herself intrigued by photography. When she stumbled upon an aura camera (not a cheap investment by the way), she knew it was her calling. As part of her service, she would take our aura photos and then provide a personalized interpretation which we learned was part art and part science since she had been doing this work for nearly 20 years. We couldn’t resist. Eva went first and then Gigi. Each aura photograph and interpretation was remarkably unique. More importantly, the interpretations seemed to resonate with each of us. “I do not ever think of people except in connection with their auras; I see them change in my friends and loved ones as time goes by — sickness, dejection, love, fulfillment — these are all reflected in the aura, and for me, the aura is the weather vane of the soul. It shows which way the winds of destiny are blowing,” wrote the “sleeping prophet” Edgar Cayce (www.edgarcayce.org) in his 20-page pamphlet, Auras: An Essay on the Meaning of Colors (www.scribd.com/doc/28233743/Edgar-Cayce-Auras-An-Essay-on-the-Meaning-of-Colors ). Now, I’ve also read the converse — that auras are mere quackery, impossible to empirically verify and so forth. There are many skeptics. They have interesting and valid points (http://www.csicop.org/si/show/aura_photography_a_candid_shot/). But in all things of this ilk there are a couple prerequisites: The gift of grace and a leap of faith. Having taken the leap a long, long time ago, I was curious to see what colors were in my aura and of course, what they meant. In contrast to my daughter’s mostly red aura (and I’ll respect Eva’s privacy and not dish on hers), mine populated with many colors. Dianne pointed out a muddy yellow blotch in the upper left hand side of my photo. She correctly opined I must be going through a career transition of some sort, which was dead on the auric money. interpretations. She attributed it to her long-held experience. “I’ve seen it all over the years,” she explained, talking about how some families all have the exact same aura colors because of their group dynamic. Our auras photographed, interpreted and pocketed, we were ready to move on to explore other aspects of the conference. Have I shared with you the true reason for the pyramids? That might make for another post.